Danny Wilcox Frazier’s dramatic black-and-white photographs portray a changing Midwest of vanishing towns and transformed landscapes. As rural economies fail, people, resources, and services are migrating to the coasts and cities, as though the heart of America were being emptied. 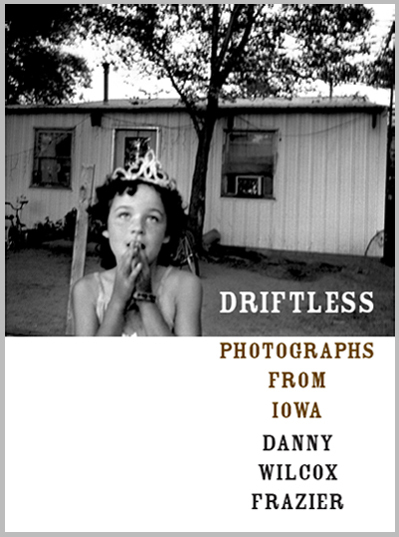 Frazier’s photographs take us into Iowa’s abandoned places and illuminate the lives of those people who stay behind and continue to live there: young people at leisure, fishermen on the Mississippi, veterans on Memorial Day, Amish women playing cards, as well as more recent arrivals: Lubavitcher Hasidic Jews at prayer, Latinos at work in the fields.